Leaving everything you know for something alien is not easy, but that doesn’t mean it won’t be worth it. The jump is always more nerve-wracking than the landing. Whatever it is that has you considering purchasing real estate in a foreign country, we would love to hear about it and discuss with you your options. Costa Rica is a wise choice. It’s an exotic place that won’t lose its charm. The last thing you want to do is move somewhere because it’s new and exciting, but find out within a year’s time that it’s not that exciting, the newness has worn off, and there’s nothing else you find appealing. “Pura Vida!” This common Costa Rican phrase means “full of life,” “real living,” or another variation of that sentiment. It’s not just a tagline; residents truly do live it out. They are some of the happiest people on earth, embodying a positive outlook on life. While buying a house in a new place doesn’t make you a native, and living in a specific area doesn’t automatically immerse you in the culture, being surrounded by such an encouraging energy will affect you sooner or later. So why not do as the Costa Ricans do, when in Costa Rica? It will make your experience infinitely more enjoyable. Owning a property in another country doesn’t mean you have to cut all ties with yours, but if you don’t want anything different, you wouldn’t be tempted to relocate in the first place. 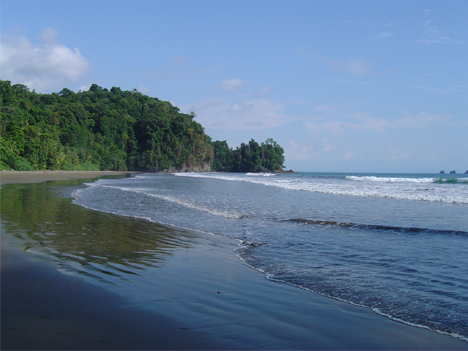 Whether you want to establish a vacation home in Costa Rica or are ready to take the plunge and take up a permanent residence, you’ll like what you see here on this site. Our homes for sale make for great investments. With our professional guidance, the process won’t be as difficult as you may expect. If your end goal is to buy a house in this beautiful Central America country, there is only one thing to do: contact us today.